A writer whose work I greatly admire nominated me for this award. As readers of this blog know, my creative pursuits run the gamut from painting and sculpting to poetry, short stories, and novels. I tend to take my time and linger over the written word, which is just another way of saying I’m not the fastest reader or writer on the block. In contrast, milliethom, the blogger who nominated me, is a frequent contributor to Word of the Week and Flash Fiction for Aspiring Writers. I’d hardly call her “aspiring” as she’s published two seriously excellent books already. I reviewed her first book Shadow of the Raven in April (see that here) and am currently reading her second book Pit Of Vipers. Her books are available on Amazon. So, with thanks to milliethom for honoring me this way, I’ll share five facts about myself, and then nominate 15 bloggers whose blogs I enjoy. 1. Like the blogger who nominated me, I’m no fan of television shows, especially those of the American variety. On the other hand, I have a DVD collection of British mysteries. At the light end of the scale there’s the Lovejoy Mysteries. When I want to study plot development, characterization, etc. I watch Poirot with David Suchet, Miss Marple (both Joan Hickson and Geraldine McEwan), and the Midsomer Murders time and again. I also enjoy Foyle’s War—exceptionally well written with characters you can love, villains you can loathe, and strong stories set against the backdrop of historical WWII Britain. 2. I grew up in the Ouachita Mountains of Arkansas and spent a lot of time out in the woods—even when I didn’t want to be there. That was certainly the case one frigid December day while hunting deer with my father and grandfather. We’d had no luck despite being on the stand for a chance to make a kill; my grandfather’s dogs had already run past chasing deer—likely as far as Oklahoma and who knows where else, but it wasn’t anywhere near us. Wet, cold, and hungry (a common state of affairs), we tried to get a fire started as the snow fell. We managed a few sparks, a lot of smoke, and eventually a few flames. We’d resigned ourselves to making camp without fire when my grandfather took a long pull from a jug of moonshine, and spat it over the tiny fire, sending blue flames roaring up into the air. Moonshine. White lightning, some call it, and with good reason. Hot beans in a can cooked over that fire tasted better that day than any other I’ve had since. 3. One of my favorite places in the world is the library. From the tiniest community library I’ve visited (saluting St. Paul, Arkansas, population 163 at the last census) to the great libraries of the Smithsonian Institution (2 million volumes and counting), I could happily spend my days lost among the books. One of my more memorable library experiences came when I spent all my life (okay, twelve months) at a remote air base 60 miles north of the Arctic Circle. I kept a list: 365 days, 350 books. 4. I come from a long line of storytellers and stone carvers. Visit the cemeteries around my hometown and you’ll see their work—tombstones expertly crafted by generations. As a young boy I walked past Cotner Monuments on a near-daily basis, and perhaps it was that which set me on a path of stone carving in my own way as part of my art career. I took up hammer and chisel to create garden decorations, mixed-media sculptures, and even some museum work. 5. I’m passing along my passion for books. My granddaughter loves libraries as much as I do, and she reads a book at least once a week (and often more). She’s got talent, too, and is already creating stories of her own. Visit milliethom’s post for additional information if needed. 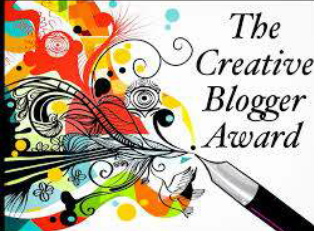 If I’ve nominated anyone whose blog is award-free, please accept my apologies in advance. I enjoy each of the blogs I’ve nominated, and hope you have time to visit some or all of them! This entry was posted in author bio, blogging, Creative Blogger Award, writing blogs and tagged author notes, blogging, Writing. Bookmark the permalink. I enjoyed the info and wow, what a list of amazing bloggers, thanks, found a couple I don’t follow!!! Thank you, D. Parker. Hope your day is a great one, too. Your blog is wonderfully interesting and entertaining. Enjoy reading it. Thank you for the post. Thank you so much, D. Parker! Wonderfully interesting facts, Jack. I should have known you’d enjoy murder mysteries, as your own Celtic Series is one. 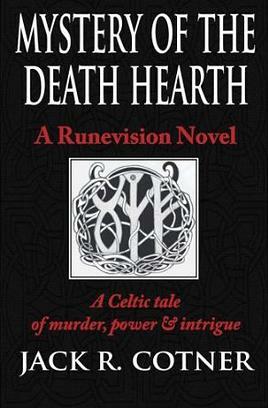 ‘Mystery of the Death Hearth’ is a great mystery which, as you know, I thoroughly enjoyed. I love all the TV programmes you listed. Foyle’s War is a particular favourite, but I don’t think they’re making any more now. 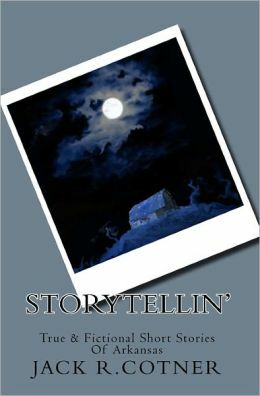 Love all your moonshine tales, too and share your obsession with libraries. A well deserved award, Jack. You’re such a creative person in so many things. How you fit your art and stone carving into your week, as well as your writing, I don’t know! Thank you so much for sharing all these interesting facts about yourself. Thank you, Millie. My activities would mean very little without wonderful people like you to enjoy them. Did you notice I’d nominated you for the Three Quotes Challenge? I’m sure you have hundreds of quotes up your sleeve. “Yes, Ma’am!” 🙂 Thanks, Millie. I did notice your Three Quotes Challenge; it’s on my “to do” list. Thanks for thinking of me Jack, I’ll have a go later in the Summer, when things have calmed down in work for me. Interesting what you say about your granddaughter and writing. Last year my five year old grandson wrote an illustrated book and his mother stapled it together for him. Needless to say, there were more drawings than words, but it was a book all the same. A book is a book, after all! Maybe a great start for your grandson. Let’s hope so. Congratulations Jack and interesting to find out more about you.